As one of the most sought after DJ’s in Utah, TinkFu has shattered the stereotype that male DJs reign supreme. This phenomenal power house femme is taking the throne in a city where female DJs are outnumbered 20 to 1. She has planted her feet in front of the decks with no indication of being knocked down! TINKFU continues to represent the “City of Salt” all over the US as a constant headliner in Miami, Orlando, LA, Vegas, Philadelphia, Portland, Idaho, and more! 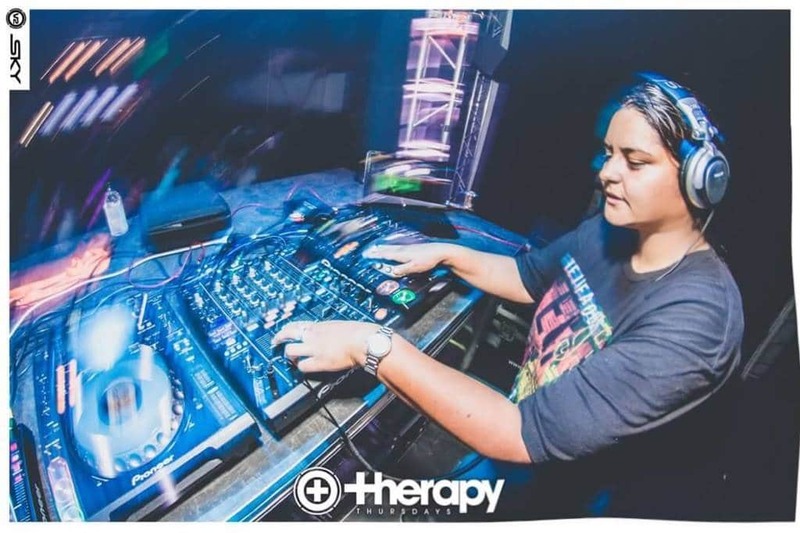 This SLC powerhouse DJ has placed her name along side the industry’s most recognizable DJs/acts, such as R.I.T.M, The Crystal Method, Krafty Kuts, Craze, Deekline & Wizard, Andy C, Noisia, Skream, Benga, Hybrid, Keith MacKenzie, Paul Van Dyk, Benny Benassi, Nervo, DJ Rap, Richard Vission, Calvin Harris, Baby Anne, Icey, Faust & Shortee, Aphrodite, Jen Lasher, Dieselboy… the list goes on and on. Not to mention, she co-headlined an event for the annual Winter Music Conference 05′ in Miami with Annalyze and Reid Speed, was 1 out of 400 DJ submissions (world wide) chosen to perform as an ‘Emerging Artist’ at the very first Vegas Music Conference held in September 2006, rocked the main stage at the 2008 premier WMC 08′ event; Future Sound Of Breaks, was asked to join the FSOB crew, and played again at the 2009 FSOB Miami showcase, played at the WMC 2010 TECHNOSLUTS massive, rocked FSOB WMC 2011, and played an exclusive 3 hour set at Vixen, one of Orlando’s premier EDM nightclubs this past April. TINKFU’s high energy, crowd-controlling performance creates an atmosphere that is in-explainable. At this pace, she is well on her way to becoming an internationally known DJ.